Clarke Johnson was a reconnaissance pilot during America’s clash with Mexico in the early 20th Century. 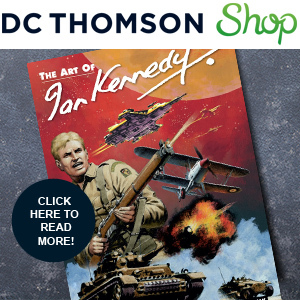 His aircraft grounded, Clarke found himself in an uneasy alliance with an Apache-born former U.S. Cavalryman and together they were fighting Pancho Villa’s Mexican revolutionaries. Things looked bleak – as bleak as the eerie burial site that hid a treasure that men were willing to kill for. 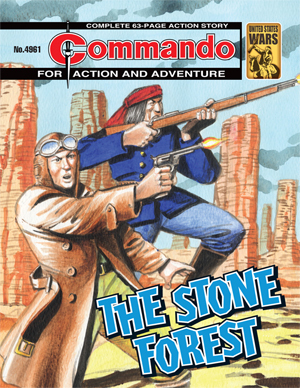 They would have to fight to survive and uncover the secret of… The Stone Forest!